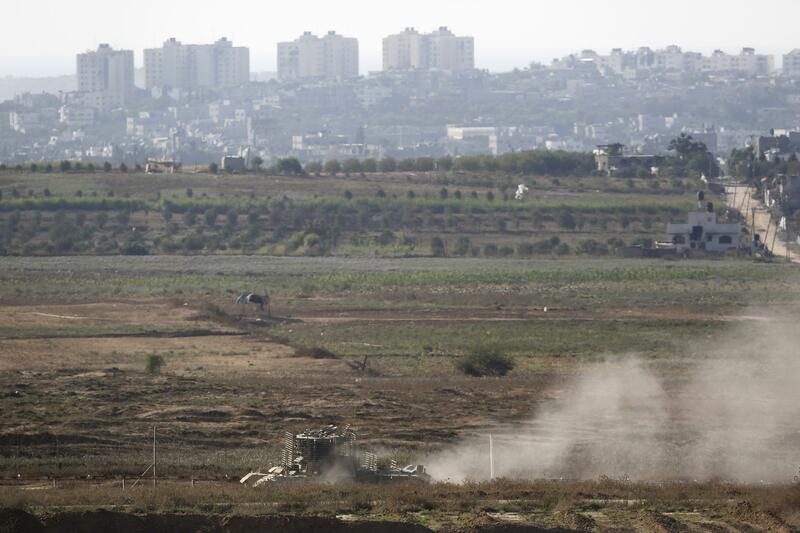 Hamas breaks cease-fire, fires rockets at Israel, reports say. An Israeli vehicle patrols the Gaza border in a photo taken today. Two rockets have been fired toward Israel from Gaza, breaking a planned three-day cease-fire, reports indicate. Haaretz says alert sirens were heard just after 4 a.m. local time with four hours remaining in the cease-fire agreement. (4 a.m. in Israel is 9 p.m. Eastern.) Israeli troops withdrew from Gaza on Tuesday. Even before the cease-fire was reportedly breached, negotiations being conducted in Cairo for a permanent truce seemed to have stalled, and Hamas had threatened to resume violence. The militant group is reportedly demanding the reopening of land and sea access to Gaza, which has been closed off for eight years by Israel and intermittently by Egypt. Israel is said to be seeking the internationally supervised demilitarization of Hamas. Reuters also reported tonight that Hamas claims to have executed an unnamed number of Palestinians suspected of working on behalf of Israel in the past month.